Download "Physician Assistant & Senior Risk Management 1010 10 th Street Modesto, California 95354 (209) 525-5770"
2 Page 2 of 11 GENERAL WORK DESCRIPTION: The frequency of the following activities may vary according to the physical requirements of the specific job tasks that the employee may be required to perform at random intervals. Under the general supervision of a physician, Senior Physician Assistant provides a variety of primary diagnostic and medical care services and to perform related duties as required. The position of Senior Physician Assistant is distinguished from Physician Assistant by the greater independence and expertise in job performance, by progressive increase in quantity and quality of work performed and in the achievement of the full confidence and trust of the primary care of supervising physician. 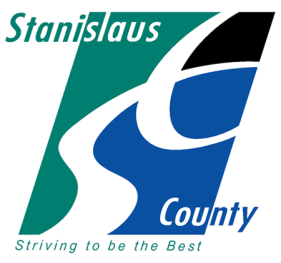 SPECIFIC DUTIES: Available through the Human Resources Department at the County of Stanislaus. Safety Requirements: All employees are required to observe company safety procedures and standards to insure individual and collective safety, in addition to avoiding unnecessary risk to oneself, co-workers, customers, and property. Equipment: 1. AED 2. Blood pressure cuff 3. Computer 4. Crash cart/emergency box 5. IV pole 6. Keyboard 7. Laptop computer 8. Microscope 9. Mouse 10. Otoscope 11. Ophthalmoscope 12. Oximeter 13. Portable oxygen 14. Scale 15. Stethoscope 16. Thermometer 17. Wheelchair All employees within the Physician Assistant & Senior position are required to provide physical assistance for all weight and frequency requirement needs of all job tasks in order to maintain a safe work environment. Employees must be physically capable of working in any of the job tasks within the Physician Assistant & Senior position. 4 Page 4 of 11 FUNCTIONAL ACTIVITIES The frequency of the following activities may vary according to the physical requirements of the specific job tasks the employee may be required to perform at random intervals. PHYSICAL AND FUNCTIONAL REQUIREMENTS FREQUENCY DEFINITIONS SELDOM OCCASIONAL FREQUENT CONSTANT Percent of the Day 1-2% 3-33% 34-66% % Material Handling 1-4 Reps 5-32 Reps Reps 251-2,000 Reps Non Material Handling 1-4 Reps 5-32 Reps Reps 251-2,000 Reps Repetitive & Static Work 1-50 Reps Reps 251-1,000 Reps 1,001-20,000 Reps 1.) PUSH: Pushing activities may require use of the back in conjunction with leg and arm musculature. REQUIREMENT 0-10 pounds: pounds: pounds: pounds: Not Required pounds: Not Required pounds: Not Required Maximum Force: 35 Pounds Assistive Devices: 4-Wheeled Cart, Hand Truck. Additionally, one person assistance is available with forces greater than 35 pounds. Comments: Pushing is utilized with activities such as adjusting moving, and/or transporting equipment and patients (e.g. wheelchairs, treatment table stand, portable support equipment, scale, cart, linen hamper, patient transfers, hoyer lift, electrocardiogram cart, crash cart). The employee exerts up to 35 pounds of force in a horizontal plane between waist and shoulder height of a distance up to 25+ feet when performing job tasks (e.g. up to 35 pounds of force to move or reposition patients within or out of cart/chair; 4-wheel patient support equipment; turn patients on table; open/close drawer, file, door). 2.) PULL: Pulling activities may require use of the back in conjunction with leg and arm musculature. REQUIREMENT 0-10 pounds: pounds: pounds: pounds: Not Required pounds: Not Required pounds: Not Required Maximum Force: 35 Pounds Assistive Devices: 4-Wheeled Cart, Hand Truck. Additionally, one person assistance is available with forces greater than 35 pounds. Comments: Pulling is utilized with activities such as adjusting moving, and/or transporting equipment and patients (e.g. wheelchairs, treatment table stand, portable support equipment, scale, gurney, linen hamper, patient transfers, hoyer lift, electrocardiogram cart, crash cart). The employee exerts up to 35 pounds of force in a horizontal plane between waist and shoulder height of a distance up to 25+ feet when performing job tasks (e.g. up to 35 pounds of force to move or reposition patients within or out of cart/chair; 4-wheel patient support equipment; turn patients on table; open/close drawer, file, door). Pushing is the preferred method of moving carts. 5 Page 5 of 11 3.) STAND-UP LIFT: Lifting weighted objects between floor and waist height. REQUIREMENT 0-10 pounds: pounds: pounds: pounds: pounds: Not Required pounds: Not Required Maximum Force: 40 Pounds Assistive Devices: One or more person(s) assistance is available with weights greater than 40 pounds. Comments: A stand-up lift is utilized with activities such as adjusting, moving, and/or transporting equipment, patients, and supplies (e.g. patients, miscellaneous supplies and miscellaneous equipment). The employee lifts items weighing between <1 pound and 40 pounds when performing job tasks (e.g. up to 200+ pound fallen patient; miscellaneous supplies and articles; soiled linen and/or debris from floor). Safe lifting is performed by utilizing a posture of partial squatting and a straight back. 4.) LEVEL LIFT: Lifting weighted objects from between waist and chest height level for a maximum horizontal distance of up to four feet. REQUIREMENT 0-10 pounds: Frequent pounds: pounds: pounds: pounds: Not Required pounds: Not Required Maximum Force: 40 Pounds Assistive Devices: 4-Wheeled Cart, Hand Truck. Additionally, one or more person(s) assistance is available with weights greater than 40 pounds. Comments: A level lift is utilized with activities such as adjusting, moving, and/or transporting equipment, patients, and supplies (e.g. patients, miscellaneous supplies and miscellaneous equipment). The employee lifts items weighing between <1 pound and 40 pounds when performing job tasks (e.g. assist patient sit/stand transfer; miscellaneous supplies and equipment; clean or soiled linen; EMR device; desktop work; miscellaneous medical evaluation equipment). 6 Page 6 of 11 5.) WEIGHT CARRY: Carrying weighted objects between waist and chest height beyond a distance of four feet. REQUIREMENT 0-10 pounds: Frequent pounds: pounds: pounds: pounds: Not Required pounds: Not Required Maximum Force: 40 Pounds Assistive Devices: 4-Wheeled Cart, Hand Truck. Additionally, one or more person(s) assistance is available with weights greater than 40 pounds. Comments: Weight carry is utilized with activities such as adjusting, moving, and/or transporting equipment, patients, and supplies (e.g. patients, miscellaneous supplies and equipment). The employee lifts items weighing between <1 pound and 40 pounds when performing job tasks (e.g. assist patient ambulation; miscellaneous supplies and equipment; laptop computer; clean or soiled linen; EMR device; miscellaneous medical evaluation equipment). 6.) OVERHEAD LIFT/PULL DOWN: Lifting weighted object from/to chest and overhead height level. REQUIREMENT pounds: Not Required Maximum Force: 0 Pounds Assistive Devices: A vertical ladder, step ladder or step stool is available to bring items to eye or shoulder level. Comments: Overhead lift/pull down is not required in performing job tasks. Variables to overhead reaching will be the employee s height and anthropometric reach. Step stool is available. 7.) OVERHEAD REACH: Comments: Overhead reach is performed to a maximum height of 72 inches when retrieving, returning, adjusting, and/or moving equipment and supplies (e.g. locate miscellaneous stored item). A ladder (appropriate height) or step stool may be utilized to bring items to eye or shoulder level. Variables to overhead reaching will be the employee s height and anthropometric reach. 8.) FORWARD REACH: Frequent Comments: Forward reach is performed to a distance of 28 inches when retrieving, returning, adjusting, and/or moving equipment and supplies (e.g. medicate patient; medical records documentation; hand contact during evaluation and patient assessment; patient assessment and/or treatment; dressing change; desktop work; injection administration). The degree of elbow extension required for reaching will vary according to the employee s anthropometric reach. 7 Page 7 of 11 9.) STOOP: Comments: Stooping is required to perform job tasks (e.g. make level eye contact with patient; medical evaluation and assessment). Variable to stooping will be the employee's height. Stooping of the head, trunk and knees can be minimized or avoided by substituting alternate positions of squatting, kneeling or bending when performing job tasks. 10.) SQUAT: (Unloaded) Comments: Squatting is performed when adjusting and/or utilizing equipment (e.g. retrieve/return items from/to lower shelves). Squatting may be minimized or avoided by substituting alternate positions of bending half kneeling, sitting or kneeling. Partial squatting is a preferred lifting posture. 11.) FORWARD BEND: Comments: Bending forward at the waist is performed when retrieving, returning, adjusting and/or utilizing equipment and supplies (e.g. retrieve/return items from/to lower shelves; applying bandages; splints; patient assessment and treatment). Maximum forward trunk flexion required is 60 degrees. Employee may avoid excessive forward bending of the trunk up to 80 degrees by using alternate positions of bending at the hips, kneeling, half kneeling, stooping, sitting or squatting. 12.) TWIST: Comments: Twisting at the waist is performed when retrieving, returning, adjusting and/or utilizing equipment and supplies (e.g. patient evaluation, assessment and/or treatment). Twisting at the waist may be minimized by turning the whole body, including the feet and working from a swivel chair. 13.) TURN: Comments: Turning is performed when retrieving, returning, adjusting and/or utilizing equipment and supplies (e.g. patient treatment, evaluation, and/or assessment). 14.) KNEEL: Comments: Kneeling is performed when performing job tasks (e.g. participating in emergency cardiopulmonary resuscitation at floor level; attending to fallen patient). Kneeling may be minimized or avoided by substituting alternate positions of bending, squatting, or half kneeling. 8 Page 8 of ) CRAWL: Not Required Comments: Crawling is not required to perform job tasks. 16.) STAIR CLIMB: Not Required Comments: Stair climb is not required to perform job tasks. HSA elevator is out of service from time-to-time for repair. Two elevators located at HSA. 17.) LADDER CLIMB: Not Required Comments: Ladder climbing is not required to perform job tasks. Variables to overhead climbing will vary according to the employee's height and anthropometric reach. 18.) WALK: Frequent Comments: Walking is performed when retrieving, returning, moving, and/or transporting equipment, and supplies (e.g. provide patient care; travel between supply areas; office and examination rooms to/from collaborating agency and/or colleague). Walking length varies between 3 feet and 200+ feet depending on job task. 19.) SIT: Frequent Comments: Sitting is performed for a maximum of 60-minute intervals when preparing documentation (e.g. desktop work; documentation; meeting; interview; assessment and patient treatment). 20.) STAND: (Static) Comments: Static standing is performed for a maximum of 15-minute intervals when performing patient care activities (e.g. provide patient care at examination table; patient vitals; monitoring patient; work site observation; medical assessment and treatment; assist with minor surgery; meeting with collaborating agency and/or colleague). 9 Page 9 of ) BALANCE: Frequent Comments: Good balance is required for safe walking, standing, reaching and lifting. 22.) HAND/FOOT CONTROL: HAND: Right: Left: Both: Either: FOOT: Right: Left: Both: Either: REQUIREMENT Not Required Comments: Hand controls are utilized to operate equipment (e.g. vehicle; scale, wheelchair, faucet, door knob, door key pad, IV pole knob) when adjusting and/or utilizing equipment (e.g. wheelchair controls; lever). Foot controls are utilized to operate equipment (e.g. hand washing lever; wastebasket, examination table, vehicle). 23.) UPPER AND LOWER EXTREMITY COORDINATION: REQUIREMENT Simple Grasp: Frequent Firm Grasp: Fine Manipulation: Frequent Eye/Hand Coordination: Frequent Hand/Foot Coordination: Comments: Grasping and coordination activities are performed when adjusting and/or preparing supplies and equipment (e.g. patient care; desktop work; medical documentation). Simple grasping is utilized to perform job tasks (e.g. lift and manipulate objects weighing less than 5 pounds; patient transfer; utilize treatment and/or surgical equipment, office work; documentation, file). Firm grasping is utilized to perform job tasks (e.g. lift and handle objects weighing 5 pounds or greater; transfer and ambulation assistance, pump blood pressure cuff, handle treatment and surgical equipment, office work). Fine manipulation is utilized to perform job tasks (e.g. control knob, switch, button, handwrite, lever, keyboard, mouse, page turn; open/close medication container; administer medication; patient treatment). Eye/hand coordination is utilized to perform job tasks (e.g. handwrite, keyboard, mouse, patient assessment and all treatment; assist with minor surgery; documentation, file, page turn, switch, button). Hand/foot coordination is required to perform job tasks (e.g. drive vehicle). Depending on individual hand dominance, one hand may be used more frequently than the other when performing job tasks. 10 Page 10 of ) CERVICAL (NECK) MOVEMENT: REQUIREMENT Static Neutral Position: Frequent Flexing: Frequent Rotating: Extending: Comments: Neck movement is required when performing job tasks (e.g. medical treatment; assist with surgery, patient care, patient intervention; meeting; work site observation; desktop work; drive vehicle). Participating in observation of work environment allowing for safe working conditions. Full cervical range of motion is required to safely perform the job tasks. This information and self-assessment is a general guide to the ergonomic set up of your workstation to minimise the risk of musculoskeletal disorders. 1. The science and art of fitting the job and the workplace to workers' needs.